There aren’t enough evenings in a week – or euros in my bank account – for the fantastic flamenco shows and recitals programmed for this October in Madrid. These are the shows that I wouldn’t want to miss, ideally – but most of which, alas, I realistically will miss! I bet you’re thrilled to enjoy some live flamenco dancing, accompanied by fabulous singing and guitar. Am I right? Then you can’t miss bailaores Jesús Fernández and Anabel Moreno at Café Ziryab, between the 6 and 10 of October – tickets are €25. Not around on these dates? No worries! You get another chance to see them at Corral de la Morería, from 21 October until the end of the month. Watch out if your bank account is running a bit low though – tickets are €50. 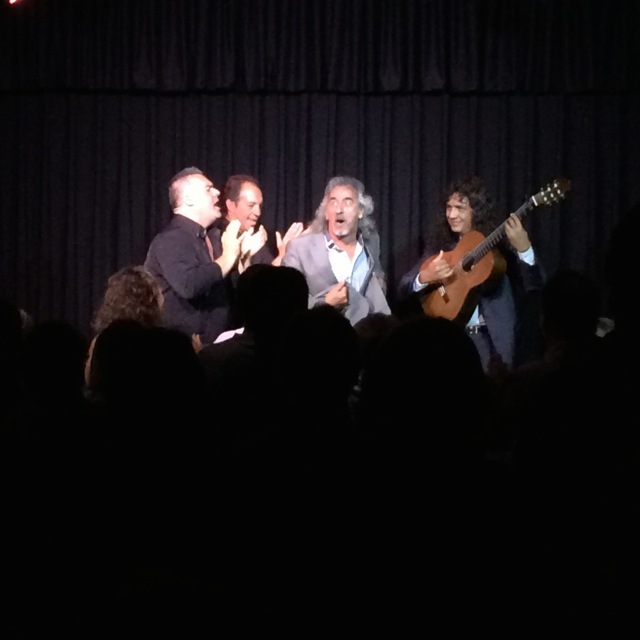 If you’re mostly interested in flamenco singing and guitar, then the Sala García Lorca at Casa Patas is your place: check out their October programme and if you’re around in Madrid in any of those dates, you can count yourself lucky! Shows are €25. Another flamenco show in which you’ll probably rejoice and wish you’d been born in a gypsy flamenco neighbourhood in Jerez is the recital that Capullo de Jerez will be giving at the Auditorio Nacional on October 16. Tickets will be available from October 1 here. The website isn’t user friendly, but the show is worth every minute of Internet confusion. Voilà – now you only need to pick and book!